The Canadian label Sackville released a series of exceptional albums throughout its forty plus year existence. A fair number of these document free-jazz concerts by American luminaries that took place in its hometown of Toronto. When the company folded, Chicago based Delmark purchased its Avant-Garde catalogue and has released expanded versions of these records on CD. 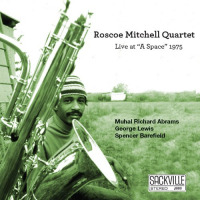 One such gem is reedman Roscoe Mitchell's Live At 'A Space' 1975 now augmented with 20 minutes of previously unissued material. 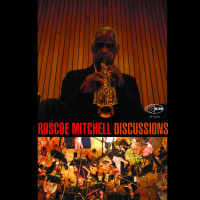 Mitchell, known for his association with the groundbreaking quartet, Art Ensemble Of Chicago and the Association for the Advancement of Creative Musicians (AACM) leads an inspired quartet in front of an appreciative audience. 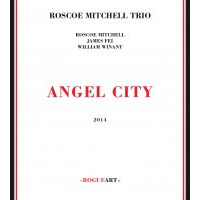 An improviser par excellence Mitchell is, and has always been, a contemplative and sophisticated instrumentalist. The most melodic track, "Dastura" features his haunting saxophone blowing wistfully over Detroit guitarist A. Spencer Barefield's classically influenced, single notes and strums. The deft utilization of silent pauses during this intense and intimate spontaneous duet brings a sense of mystical poetry to the dialogue. Barefield's otherworldly sound swells reverberate on "Troona," a tension filled piece with an expectant ambience. 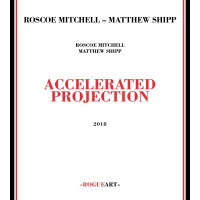 Mitchell's melancholic honks, pianist Muhal Richard Abrams' chiming keys and trombonist George Lewis' sputtering horn join in to create a dramatic and intriguingly atonal symphony of sorts. This is Lewis' debut recording and he is already a mature and inventive player. 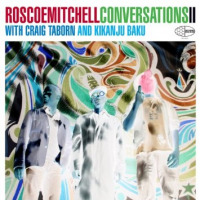 His unaccompanied, ten-minute long extemporization on "Olobo" has him expressively exploring the entire range of his instrument, not only musically but also stylistically. Abrams' demonstrates his trademark progressive angularity on a passionate and unfettered cascade of piano lines on "Prelude to Naima." This is followed by saxophonist John Coltrane's classic "Naima" that Lewis and Mitchell play in unison, like a somber dirge. Listening to this exquisite disc is, without a doubt, demanding but it is also a rewarding and thrilling aural and intellectual ride. The superb sound remastering enhances the experience of rediscovering this historic session. Track Listing: Prelude to Naima; Naima; Tnoona; Music for Trombone & B Flat Soprano; Cards; Olobo; Dastura; Nonaah. 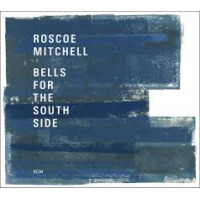 Personnel: Roscoe Mitchell: saxophones; Muhal Richard Abrams: piano; George Lewis: trombone; Spencer Barefield: guitar.